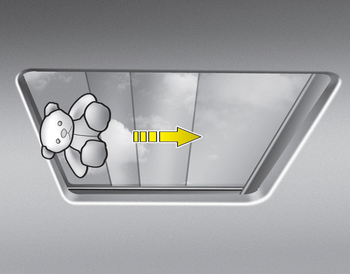 Push the sunroof control lever forward or full it down. The sunroof glass will close. - Press the sunshade control switch(2).